Do you have days when you ponder over what to fix for supper? Something easy? Something filling? But not too much work? I know I do almost every day of my cooking life! My saving grace seems to be casseroles. They are hearty, filling and most of the time you can get leftovers from them. Here are a few casseroles I found which would make a great dinner. 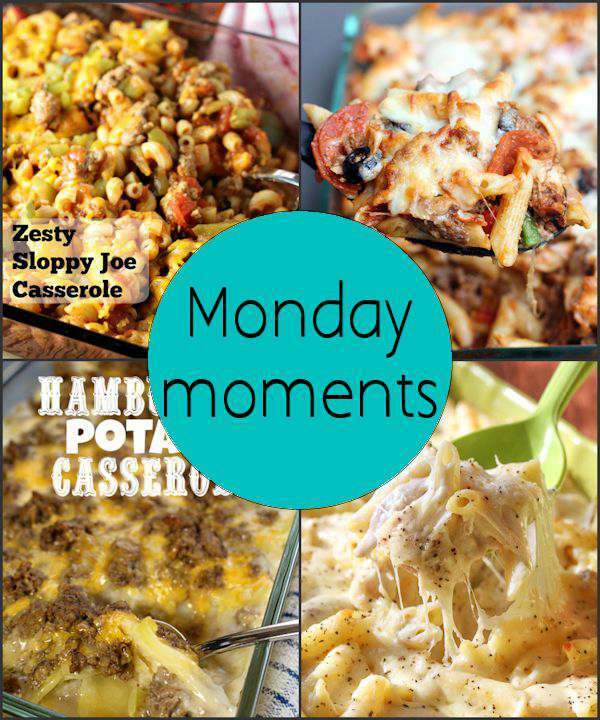 First we have a Zesty Sloppy Joe Casserole by Renee’s Kitchen Adventures. I love a good Sloppy Joe but when you have kids involved…..what a mess to clean up after wards. So this casserole is a great substitute for dinner. Taste Better from Scratch must have known I was looking for casseroles and how much I love pizza. How about a Pizza Casserole. This looks so good and all my favorite flavors all in one bite. Hamburger Potato Casserole just looks so delish and would be so good to take to a church gathering or party. Posed Perfection‘s recipe makes my mouth water. Potatoes, hamburger and cheese. Live is good. Chicken Alfredo Casserole happens to be one of my hubby’s favorite casseroles. I usually use store bought Alfredo Sauce, but this recipe by Lil Luna has inspired me to make my own sauce.